Holy Grail Item. 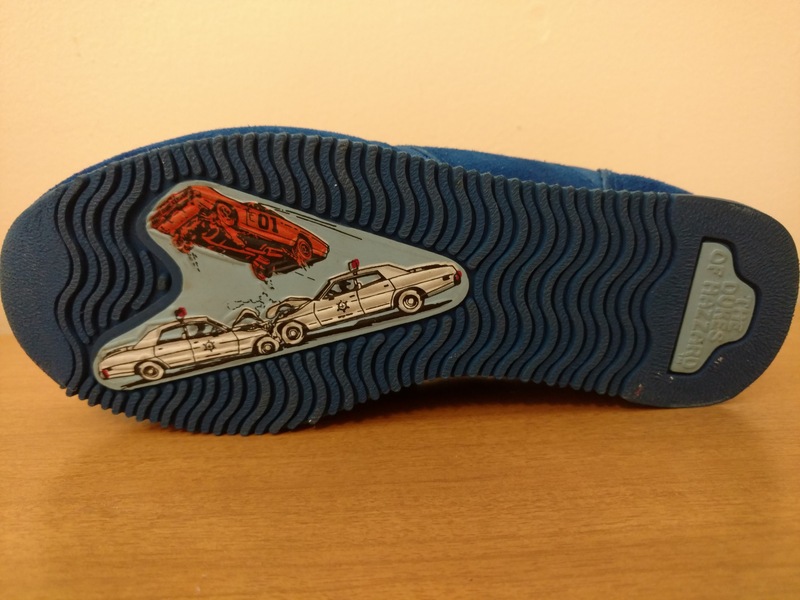 The Tennis Shoes are super rare. 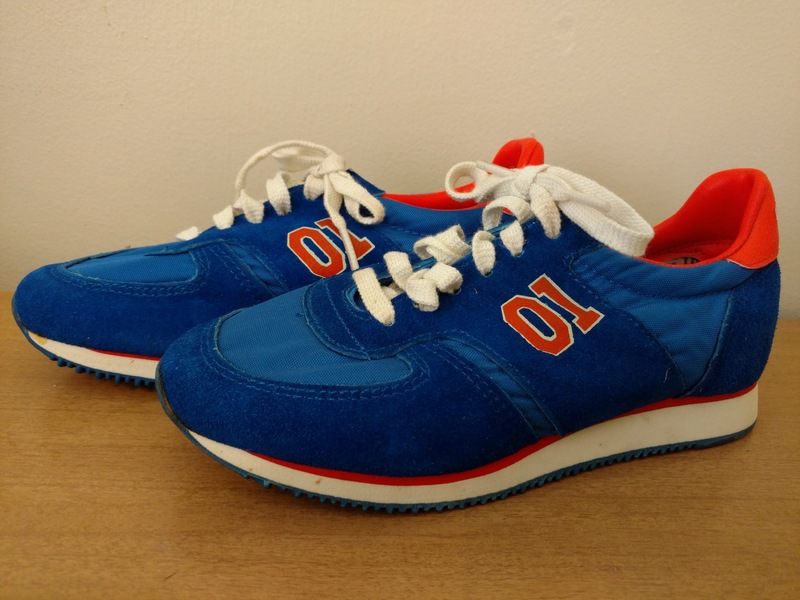 This is the lace-up version that features the orange 01 printed directly on the blue shoe. 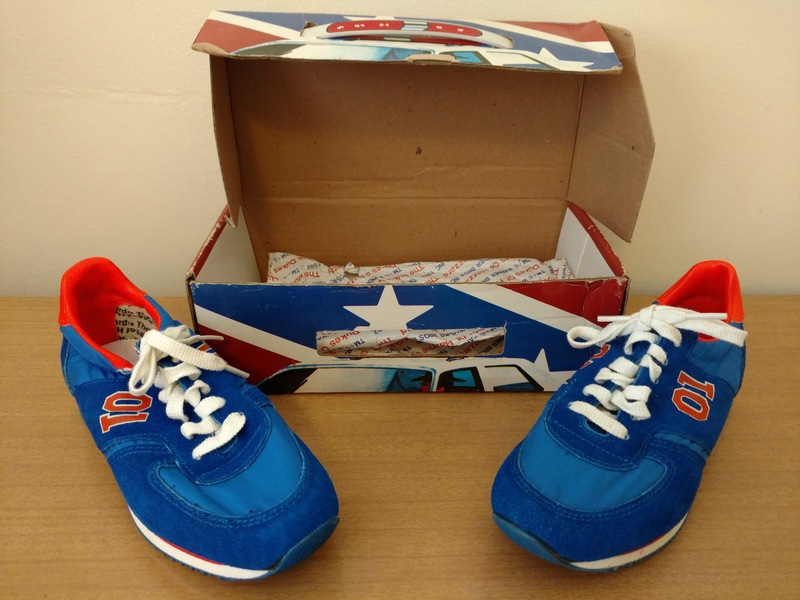 The box is just as collectible and the tissue paper insert may be rarer than the shoes. 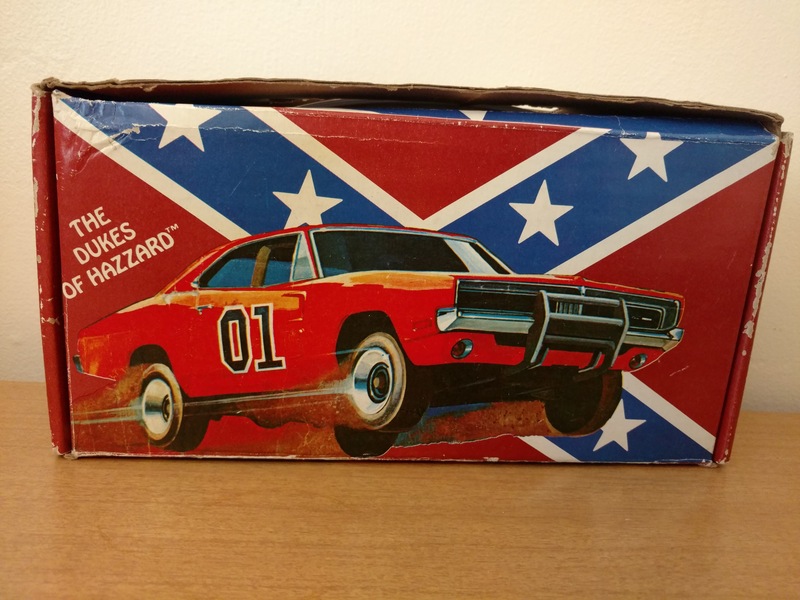 Blog Mention I Added Another Pair of Dukes Of Hazzard Shoes To The Collection! With Laces! And A Display!